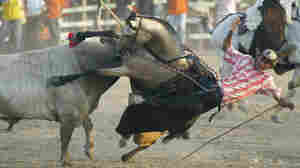 January 30, 2011  Cuidad Juarez has become ground zero for the drug cartel wars in Mexico. This month alone the city has witnessed 200 deaths. The government is trying to promote alternatives to gang life. And Saturday, activists on both sides of the border staged a bi-national protest. They called on the government to demilitarize the city and to end the impunity that seemingly thrives there. January 23, 2011  The Port au Prince press corps is proving to be a relentless bunch. With the return of a former dictator this week, the country's current and former diplomats experienced first-hand what it is like to be pursued by free and feisty journalists. 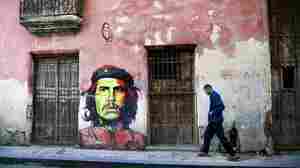 January 22, 2011  Nestor Marti is a photojournalist in Cuba's bustling capital city. Chip Cooper is known for artistic, composed shots of the Alabama countryside. Together, they're walking the narrow streets and wide plazas of Old Havana in a one-of-a-kind photographic collaboration. January 21, 2011  With the political chaos stemming from disputed elections, President Rene Preval is under increasing pressure. 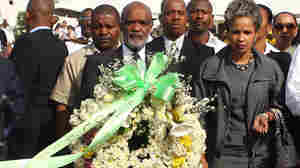 The political instability engulfing Haiti is just the latest trouble for Preval, who has been widely criticized for his handling of the aftermath of last year's earthquake. January 21, 2011  In Brazil, officials are tallying the dead and missing after last week's floods and mudslides. Nearly 800 people have died. Host Melissa Block speaks with Associated Press reporter Juliana Barbassa in Rio de Janeiro, who recently returned from the hardest-hit area, north of Rio. 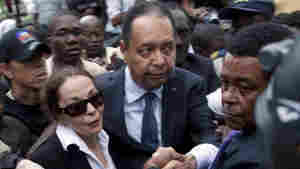 January 19, 2011  Prosecutors accuse former president of Haiti Jean-Claude Duvalier of corruption and embezzling millions of dollars during 15 years in power. His return after 25 years in exile alarms opponents, who say he tortured, killed and kidnapped those who spoke against him. A judge will decide whether he will be tried. January 18, 2011  The licenses are aimed at helping to offset coming layoffs of 500,000 government workers, including many Cubans who may not have the wherewithal to start a business or make it on their own. 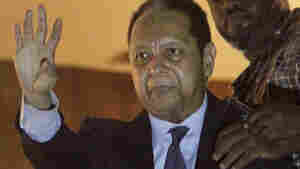 January 18, 2011  Jean-Claude Duvalier, known as "Baby Doc," has returned to Haiti. The former Haitian dictator had been living in France since his exile in 1986. He was president of Haiti from 1971 to 1986, succeeding his father, "Papa Doc" Duvalier. Police in Port-au-Prince have taken him into custody. January 17, 2011  Former Haitian dictator Jean-Claude "Baby Doc" Duvalier returned home Sunday for the first time since he was forced to flee in Haiti in 1986. Writer Amy Wilentz was in Port-au-Prince when Duvalier fled the nation. She discusses what his return means. January 17, 2011  Jean-Claude "Baby Doc" Duvalier's return to Haiti after nearly 25 years in exile is a surprising and perplexing move. The country is struggling with another political crisis and stalled efforts to recover from last year's earthquake. January 15, 2011  Last January, Romel Joseph found himself trapped under the rubble of the collapsed school he founded in Port-au-Prince; his pregnant wife was killed. A year later, he has regained enough strength to start playing music again and is making good on a promise to rebuild the school. 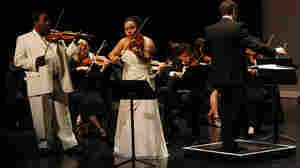 January 14, 2011  Obama will now permit students and churches to travel to Cuba.